In the last decades, much progress has been done in closing the gender gap in academia. Can we still say there is gender inequality for the new generation of researchers? 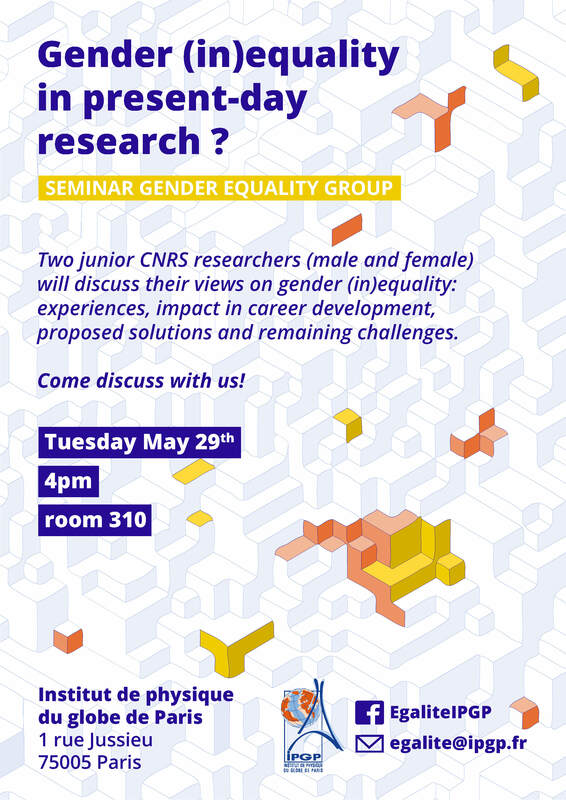 Two junior CNRS researchers (male and female) will discuss their views on gender (in)equality: experiences, impact in career development, proposed solutions and remaining challenges.